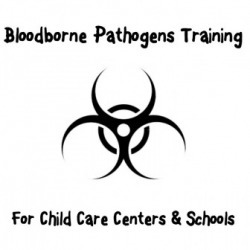 The Bloodborne Pathogens Compliance Training System is the complete solution for your Child Care Center or School. Written to the OSHA Bloodborne Pathogens Standard 1910.1030, it contains everything you need to start and maintain your program. It's easy! Once you download the Training System, just open the Read First!. It will guide you through the development process of your program. In just a few minutes, you will have an OSHA Compliant Bloodborne Pathogens Exposure Control Program, Training Materials for your employees, and all the forms you need for a Bloodborne Pathogens program. Why is it so cheap? Others charge several hundred dollars! Bloodborne training programs are required annually and can cost a center $250 or more for your employees, each year! Plus if you get new employees during the year you have to find somewhere to get them trained! Now you can do it all in house. We are committed to providing safety solutions to our customers at a price that every Child Care program and School can afford. We do everything possible to keep costs low. We provide all the materials in electronic format to minimize printing and shipping costs, and pass those savings on to you. Is it OSHA Compliant? Does it certify us to work with Occupational Bloodborne Pathogens risk? We provide everything required by OSHA 29 CFR 1910.1030, but only YOU can certify your employees in Bloodborne Pathogens. OSHA mandates that employees be trained on your Exposure Control Program, hazards in your workplace, engineering and process controls to limit exposure at your facility, and other company specific items. No outside body or training video can do that. We provide everything you need to create those programs, and the training outline shows you how to incorporate those into your program. Once completed, you can certify your employees in Bloodborne Pathogens. Read First Checklist: A step by step guide to establishing your program. Exposure Control Program: An OSHA Compliant written program, easily customizable to your business. Bloodborne Pathogens PowerPoint: A complete PowerPoint for training your employees. Training MaterialsIn addition to the PowerPoint: the kit comes with a Training Outline, Participant Worksheet, Blood Spill Clean-up instructions and Certificate of Completion. Forms: All the forms and documentation you need to run your program. PowerPoint "Train-The Trainer Program" for you to train your trainers! A $175 value! Order this training course now and begin to protect your employees legally and save money as well! This program investment is only $75.00! Plus you get an instant download!This ZIP file contains all you need to be compliant no matter how small or large a center or school you are. ORDER NOW!